8 - Do You Hear What I Hear? 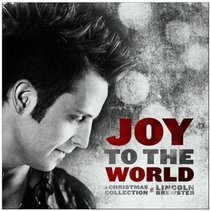 Customer Reviews For "Joy to the World"
I have mentioned in other reviews that I think Lincoln Brewster is great. Lincoln has released a new Christmas Album for 2012 and it does not disappoint. The drummer boy track is my favorite, definately recommend getting this one for your Christmas collection!